While there is still some debate, it is now believed that Nazareth at the time of Christ had a population of 15,000 to 20,000. Nazareth is discussed within the New Testament in five sections. 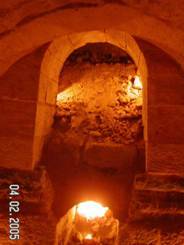 Mary’s Well is the natural spring that until the 20th century was the primary source of water for Nazareth. With no rivers or other major springs nearby, it is natural that the center of the city would surround this site. And right next to the well is the bath house. According to the Greek Orthodox Tradition, and several books of the Apocrypha including the book of James, the Annunciation (announcement to Mary of her forthcoming virgin birth) was made at Mary’s Well. 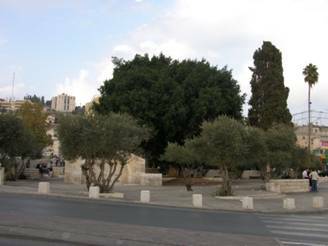 With the discovery of the bath house that is at least of the Roman period, and potentially much older, it confirms that Nazareth was a larger and more important city, than many have thought, during the time of Jesus. “We came from Kfar Kana, arriving the next day in Nazareth, where the Christian Jesus lived. 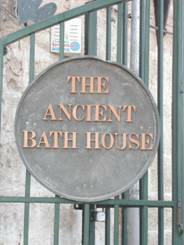 The citizens told me that there existed a hot bathhouse where the Mother of Jesus immersed herself." Today, Nazareth is a wonderful place to visit. Tourists can visit many holy sites. It has all the modern amenities, including great restaurants and hotels, and of course the Ancient Bath House, a place not to miss.